An advertising sales representative sells space in print publications, on websites, and on outdoor media to companies that want to advertise their products. He or she may also sell airtime during radio or television broadcasts. The advertising sales representative must convince advertisers that this is the best way to reach consumers. Also known as an advertising sales agent or ad sales rep, he or she builds a customer base by setting up meetings with potential clients, assessing their needs, and presenting proposals to them. 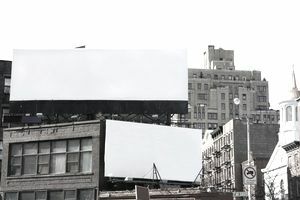 A proposal gives details about the advertising plan and provides its costs and benefits. The advertising sales representative is the client's primary point of contact, answering questions, resolving any problems that arise, and proposing new advertising plans. He or she also analyzes client sales data and prepares reports. In 2015, advertising sales reps earned a median annual salary of $48,490. Earnings are typically comprised of a base salary plus a commission that is based on sales. This field employed almost 168,000 people in 2014. Most jobs are at least full time. Many advertising sales reps work overtime. The job outlook for this field is poor. Employment is expected to decline through 2024, according to the U.S. Bureau of Labor Statistics. "manage the full sales-cycle including; prospecting, fact-finding, presenting, negotiating, and closing key agency and brand accounts"
"manage and generate revenue from developmental sales list"
"interact with various internal departments to carry out client requirements such as scheduling advertising"
"react to inbound customer requests via phone and online"
"use phone and email, and make occasional face-to-face sales calls"
"develop relationships for long-term growth"
"assist customers with basic ad layout and design and develop spec ads"
You don't need a college degree to be an advertising sales rep since you will receive your training on the job. However, many employers prefer job candidates who have earned a bachelor's degree with coursework in advertising, marketing, and business. Here are several attributes that make some people particularly well-suited for this occupation as well as other sales careers. Communication Skills: You must be able to communicate with your clients. This requires excellent listening and speaking skills. Persistence: It often takes several meetings with a potential client to convince him or her to buy advertising space or airtime from you. Organizational Skills: To keep track of multiple accounts, you must be well-organized. Interpersonal Skills: Your interactions with clients and potential clients require you to have great persuasion and negotiation skills. You must also be socially perceptive, which means you can easily figure out what someone is thinking without him or her telling you. "Strong media math skills and understanding of industry research tools/metrics"
"Motivated, passionate, and a real team player"
"A great welcoming personality that encourages relationship building"
"Capable of multitasking and working in a fast-paced environment"
"Ability to overcome objections and work under pressure, meeting deadlines and sales goals"
Bureau of Labor Statistics, U.S. Department of Labor, Occupational Outlook Handbook, 2016–17 (visited October 26, 2016 ). Employment and Training Administration, U.S. Department of Labor, O*NET Online (visited October 26, 2016).